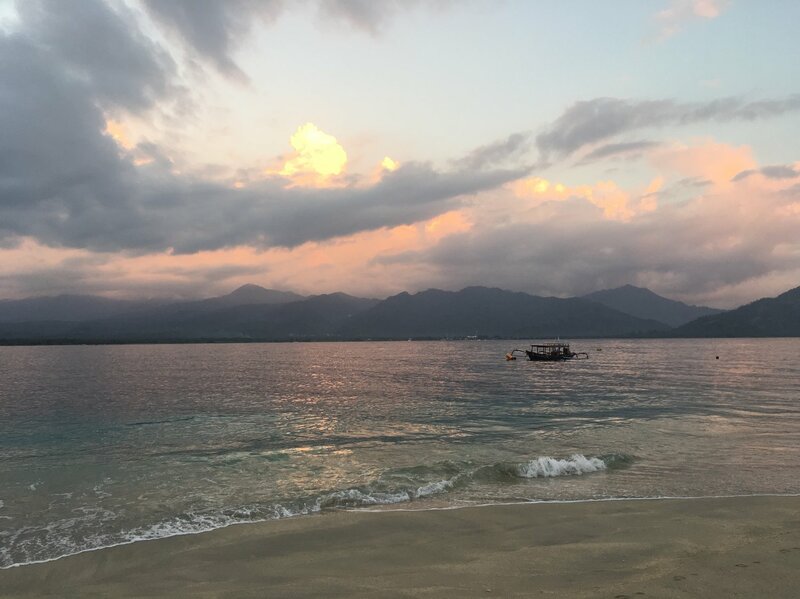 If you had arrived on any one of The Gili Mantra Islands, 25 years ago, you had probably been shipwrecked trying to get between Bali and Lombok. 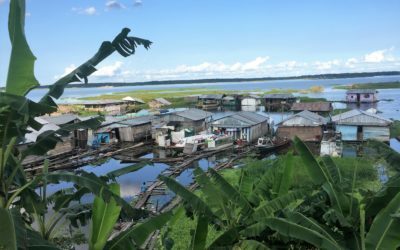 You may have gladly stumbled along the local villages, made up of the Makassar that had migrated there from Sulawesi, whose main industry was fishing. Arriving today is rather different. The mid-nineties really saw tourism taking off, with hotels beginning to emerge on these idyllic islands and people from Lombok taking the public boat to the three; Gili Meno, Gili Air and Gili Trawangan. Now, perhaps because the Indonesian government, as part of their initiative to boost Indonesian tourism, have been promoting The Gili’s as paradise and tourism is growing. Today these islands are an ideal destination, especially for Australian and New Zealand travelers. Crystal blue waters and the promise of relaxed-island living has lured them in as well as many European backpackers. That and the natural eco-system of protected marine life that surrounds the island. In fact, is hard to say what the Gili’s are emerging more famous for these days — their “real island” experience (no cars, you can only access these tiny islands by boat) or the diverse marine life you can go scuba diving for. 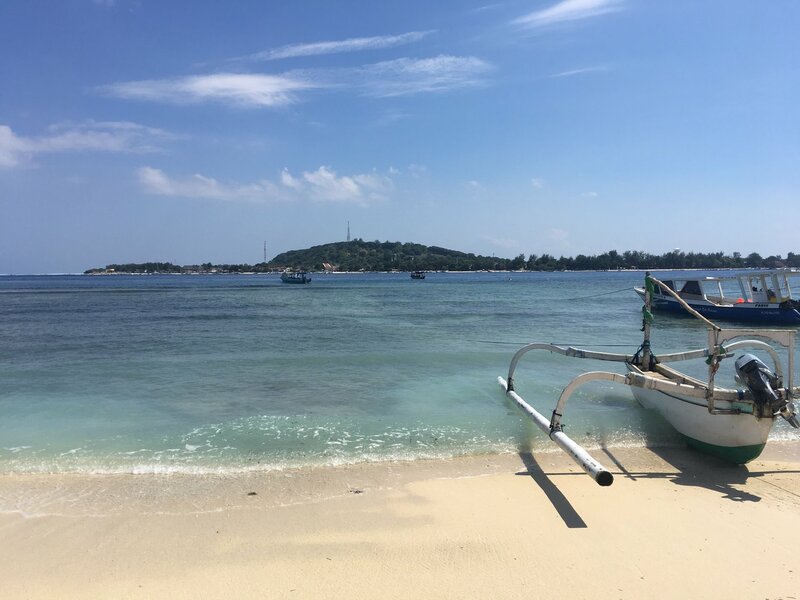 Before you pack your bags and head off though, the journey to the Gili’s isn’t for the faint-hearted (and if I am honest the shipwreck thing still seems quite likely). After an hour and a half winding taxi ride from Seminyak or forty-five minutes from Ubud, you reach Padang Bai where you can barter for a ferry ticket. You should be able to get them down to about 200 Indonesian rupiah – although my rusty high school Indonesian does help a bit there. Then comes the wait, in a crowded area, stuffed to the brim with backpacks and merchants trying to sell you snacks or sarongs. It’s uncomfortable with the heat beating down and made far more uncomfortable by the fact your ferry operates on Indonesia time — it comes and it leaves as it pleases. The water can be choppy and there are rumors of the “fast boats” (read ferry) being flooded with water on particularly rough days. But after a taxi driver ripping us off, one broken laptop and honestly nearly dieing getting off the boat, my traveling companion and I arrive in Gili Air. Gili Air is the middle ground of the three islands – not as secluded as Meno which is a honeymoon destination nor as full of partying backpackers like Trawangan which is why it was our island of choice. It is the closest island to Lombok and boasts beautiful mountainous views. 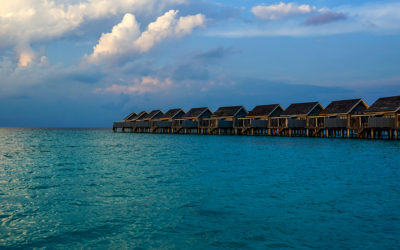 It is a mixture of the two and a hub of activities that involve ocean and relaxation. We stayed at Gili Air Lagoon Resort; a ten-minute walk from the port. It has twenty rooms and the pool stretches the whole way around all of the rooms. There is a shallow pool at the front of each room for sitting and relaxing. It is perfect to come back after a long hot day. 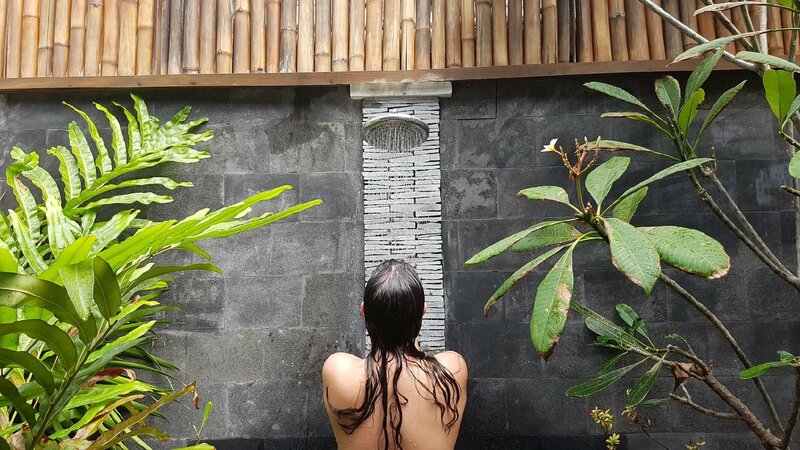 The hotel staff are friendly – the bathroom is an outdoor Balinese style – like most resorts in the Gili’s. I would recommend this hotel with a warning — bug control isn’t quite what it is in most four-star resorts and millipedes are attracted to the water. Small price to pay for the pool at the door if you ask me, but you may have some unwelcome invaders at night. However, a natural bug repellent does a great job keeping them out if you spray it before going to bed and the pool really is worth the bugs! Settled into Lagoon Resort, it is time to explore the island. Most who venture to the Gili’s imagine lounging on white sand beaches – which is unfortunately not the case. Swimming is difficult due to the sharp dead coral in the water. (Wear shoes – I saw a couple of Russell Brand in “Forgetting Sarah Marshall” moments). That said, there are ways to enjoy this beautiful warm clear water. Snorkelling or Diving is extremely popular and the sea life is diverse. Particularly impressive are the Meno Turtles which are a protected species. Now I have snorkelled in a fair few places (Italy, Thailand, Australia to name a few) and the warm waters of the Gili’s and the colours of the fish in the reefs take the crown for the experience. The guys taking us to the boats tell us not to touch the turtles when we reach dive spots – which explains just how close you can get (note: we were just snorkelling). There is something special so peaceful about floating alongside a turtle moving gracefully through the ocean. There are sites all around the Gili’s that you can snorkel at (or scuba dive) – I wish I had more time (and money) to get my certificate (you can spend three to five days to get your Scuba Diving Certificate) especially after a local scuba diver instructor tells us that the water is so warm you can go down in a bikini – not a really thick wetsuit. For 5 Million Rupiah (bartering won’t get you far with dive certificates they are a set price) you can get PADI Certified and from then on our Dives are really cheap 500 Rupiah including rented equipment. The boats will pick you up from any of the islands, and take you out scuba, snorkeling and free-diving. 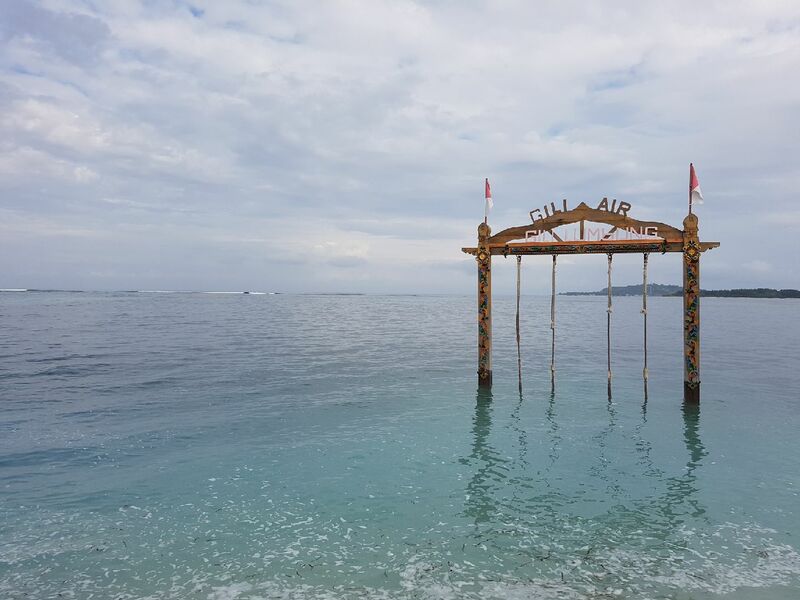 In my opinion, Gili Air is still the ideal island offering some unique activities that you can only enjoy at Gili Air. Blue Marlin Dive offers Sunset and Sunrise paddleboarding so you can enjoy the breathtaking Gili Sunsets. Their yoga studio also offers open-air yoga, overlooking the water in their open-air studio. Harmony Spa is halfway around the island (if you are using the port as a base) and is definitely worth a visit. With its healthy lifestyle cafe on the first floor, the second story has massage rooms with a twist. Overlooking the beach they provide the perfect relaxation spot. While enjoying your incredibly affordable massage you can hear the crashing of the waves on the beach combined with the usual massage music. 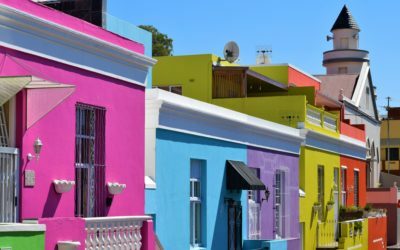 If you happen to get bored of massages or even feel like being land bound for a day, cycling around the island is a great way to take in all the beauty. Or if you are too afraid to navigate through the Cidamo’s, walking works too, with the occasional stop for a cocktail break in a private beach cabana. It is also worthwhile cycling through the center of the island, not only for getting some relief from the heat, but to see the way in which the locals live. That being said, while riding your bike through the village, anyone who does should do so with the utmost respect for the people living it. Watching the community going about their days, the way they live is very interesting. But do not linger long – I don’t; partially because I am not dressed in appropriate attire for the Muslim community living there. My main reason, however, is these people spend their day’s shying away from the tourist who inhabits their island, the last thing they want is to be gawked at. It is nice and cool in the village while riding through, but I hope those who experience it are respectful of the community. Completing the trip we stopped by the Ombak Hotel to take a picture of the ocean swing and donate to the Gili Air School Fund. It’s one of those places where all tourists stop which is great – make sure you donate! Once you have enjoyed a day engaging in the lifestyle of the Gili’s it is time to enjoy the food. The most popular (and great value) dinners are the beachfront barbeques that many of the local restaurants offer. Pick your seafood of choice (lobster, prawns, calamari, fish or kebabs) and while its BBQed up, enjoy the salad bar. Scallywags do this particularly well and you can enjoy this meal with the sand between your toes watching the sunset. The seafood is delicious and the affordability is almost ridiculous. We enjoyed a whole lobster for just $60 with chips and all you can eat salad bar with a side of prawns. After those stunning sunsets and a seafood feast, the food coma is a very real option for those who don’t feel like going out that night. If you are not ready to go to bed quite yet there are also lots of open-air cinemas with modern movies. “Lion” and “The Jungle Book” are airing at Ombak Sunset while we were staying. A few show various classics and, of course, everyone’s favorite fishes Nemo and Dory play nightly. The warm air means you don’t get cold while you enjoy the movie (and maybe another couple of cocktails). 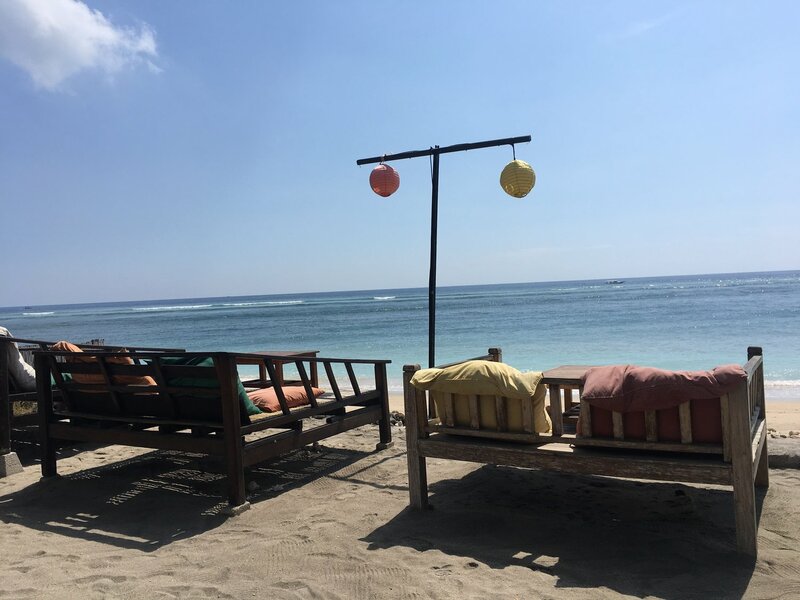 I would recommend four or five nights in the Gili’s – there isn’t much to do once you have exhausted the scuba and snorkeling – but it is honestly the perfect place to just relax, read some books, enjoy a few yoga classes and go on some nice bike rides. For a long time, Indonesia has been only known on the tourism stage for Bali. 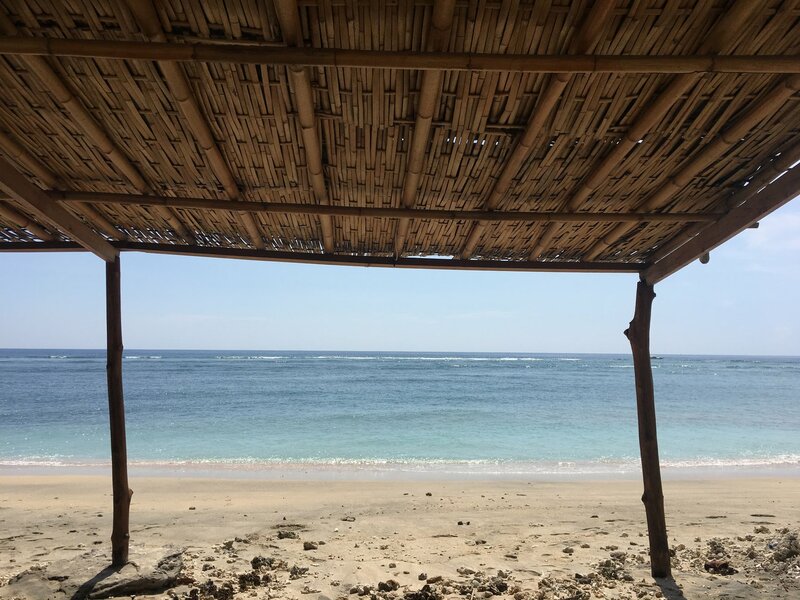 The Gili’s encapsulate a side of Indonesia that Bali has not given the droves of tourists that have holidayed there for years — the beauty, the friendliness of the local Muslim community, and the culture. There is a more relaxed atmosphere in the Gili’s and I find most people a little less pushy than Bali. Indonesia as a whole is still an untouched tourist destination. But it is heating up if the Gili’s are anything to go by – Indonesia will be one of those places you read about in a few years having hordes of tourists descend on it. 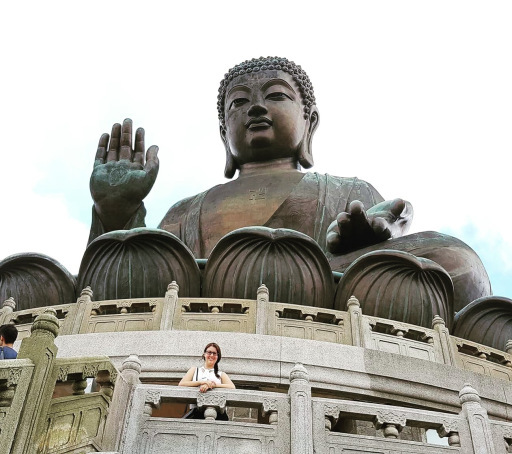 Australian Girl with Tasmanian roots travelling the world and losing things along the way. An umbrella in Copenhagen Airport, a beanie on a train to the Loire Valley, scarf in Berlin, leather jacket between Lyon and Barcelona (but you get the idea). Europe is my jam right now, mixed with a little bit of Australia and Asia. This blog is basically to keep my Mum reassured I am alive/a shameless attempt to be hired by Lonely Planet one day.